Justice Charles Canady was born in Lakeland, Florida, in 1954. He is married to Jennifer Houghton Canady, and they have two children. He received his B.A. from Haverford College in 1976 and his J.D. from the Yale Law School in 1979. Justice Canady practiced law with the firm of Holland and Knight in Lakeland from 1979 through 1982. He practiced with the firm of Lane, Trohn, et al., from 1983 through 1992. From November 1984 to November 1990, Justice Canady served three terms in the Florida House of Representatives, and from January 1993 to January 2001, he served four terms in the United States House of Representatives. Throughout his service in Congress, Justice Canady was a member of the House Judiciary Committee. For three terms, from January 1995 to January 2001, Justice Canady was the Chairman of the House Judiciary Subcommittee on the Constitution. Upon leaving Congress, Justice Canady became General Counsel to Governor Jeb Bush. He was appointed by Governor Bush to the Second District Court of Appeal for a term beginning November 20, 2002. 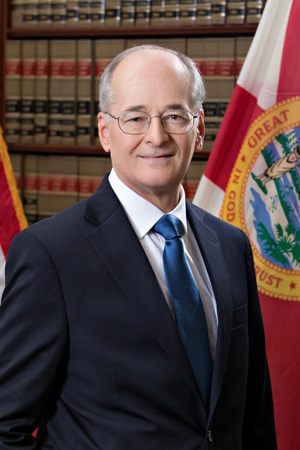 On August 28, 2008, Justice Canady was appointed to the Florida Supreme Court by Governor Charlie Crist and took office on September 8, 2008. 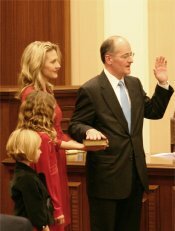 He served as Chief Justice from July 2010 through June 2012. In March 2018, he was elected by his colleagues to serve as Chief Justice for a second time, with his two-year term starting July 1, 2018. The phone number is (850) 410-8092. His judicial assistant is Jessica Outlaw. His staff attorneys are Thomas Kovacik, Renee Urban, and Melissa Hedrick. The mailing address is 500 South Duval Street, Tallahassee FL 32399-1925. Attorneys or law students interested in clerkships in this office should check our Law Clerk Recruitment Page. There also is information on Internships. 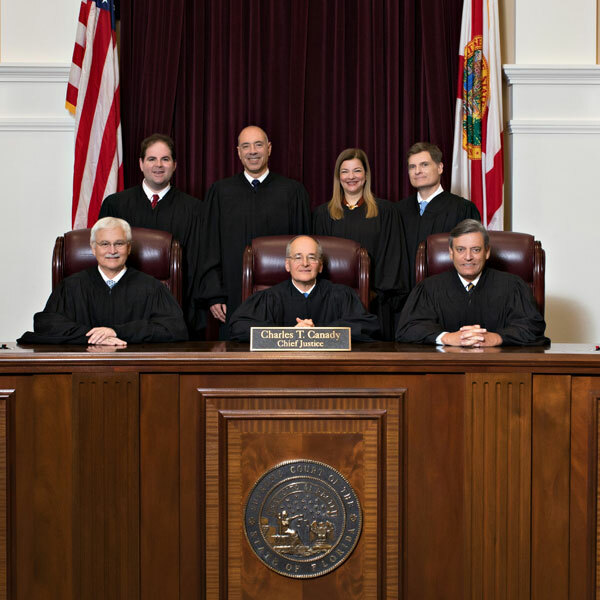 NOTICE TO THE PUBLIC: The Code of Judicial Conduct governing behavior by judges forbids the Justices of the Florida Supreme Court to discuss pending cases with the public. Please do not call the Court expecting to speak with a Justice about any case. If you have a comment to make, please mail it to the Clerk's Office at 500 S. Duval St., Tallahassee FL 32399. However, the Court is only allowed to consider arguments made in the courtroom and in documents properly filed by actual parties in the case as authorized by law and the Rules of Court. 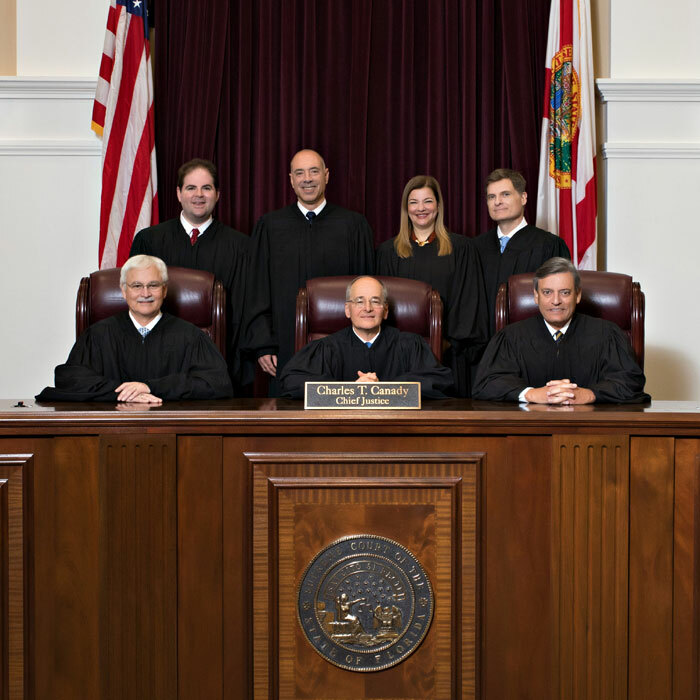 The Court cannot ethically read or consider any other opinions or arguments about the case. Communications that do not meet these legal requirements cannot be forwarded to the Justices.